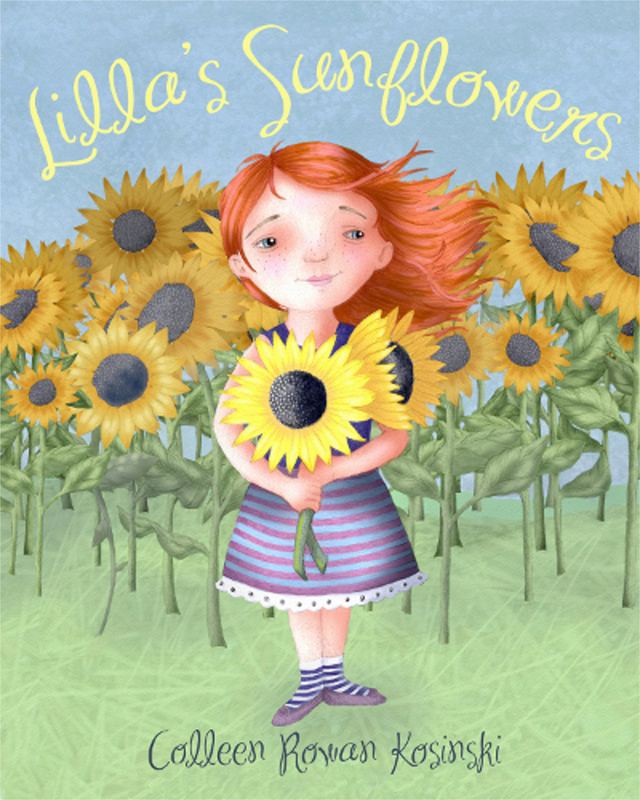 Since Lilla’s Sunflowers found its place on bookshelves I’ve been touring about signing and speaking about my book. One question that people often ask me is about my art process. I thought I’d write a little blog post explaining how I work. This painting example was intended as my holiday card. 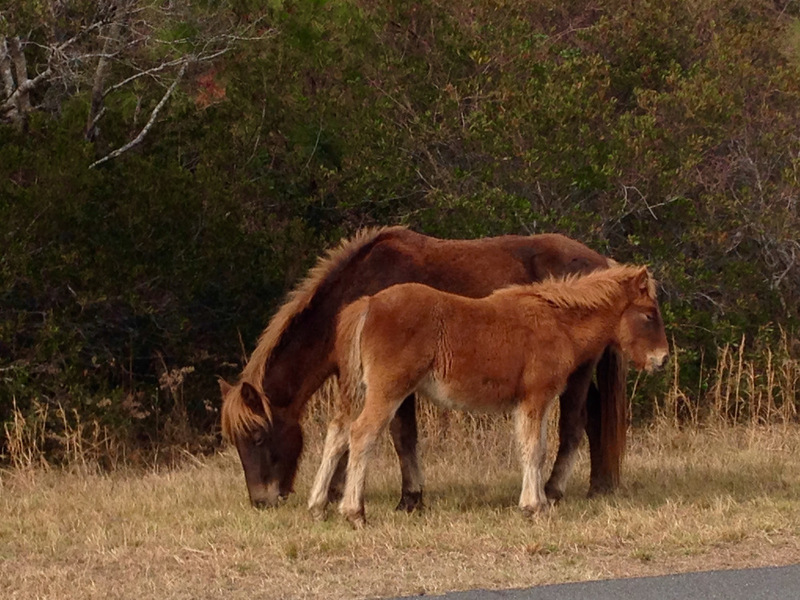 I’d just visited Assateague, Maryland and was lucky to see a few wild ponies. They were my inspiration.  First I researched elements I needed for this particular piece of work. I needed to examine the photos I took of the ponies. 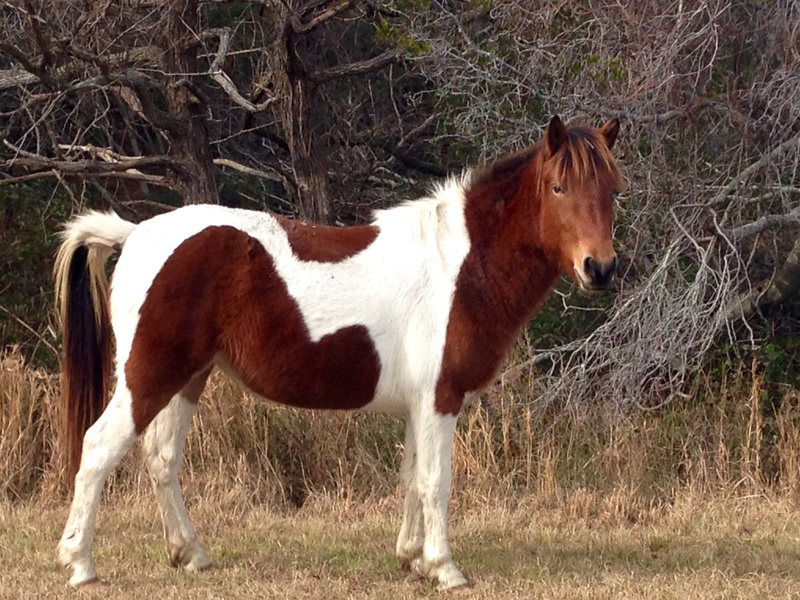 I really like a photo I’d taken of a young brown horse, but I like the colors of a spotted pony I’d seen. I decided to combine them and then put a spin on the pattern. I also changed the background to depict a snowy scene. I also wanted to add some birds to the final composition. Next, I drew (in pencil) each element that was to be included in the artwork. I scanned in the early sketches and placed everything in the space to see if it worked. 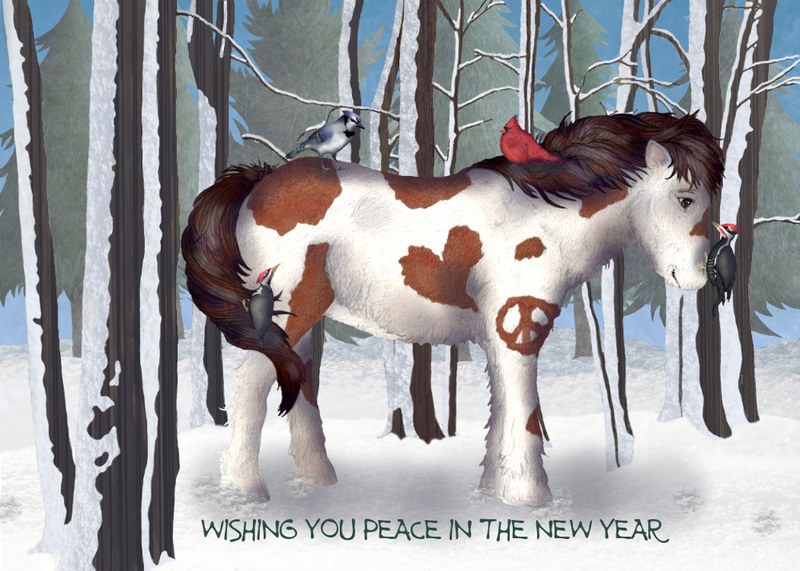 I’d originally put the birds in the trees but thought it might be cute to see them on the pony. 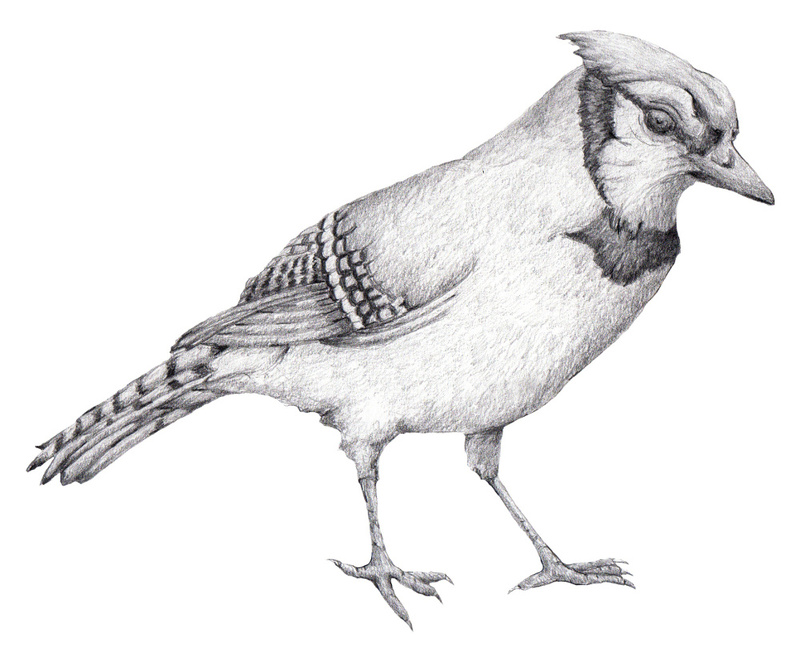 Then, I went back and shadowed each drawing in pencil. I scanned each shadowed piece into the computer and placed them on the page. All the shadowed pieces were built as their own layers. 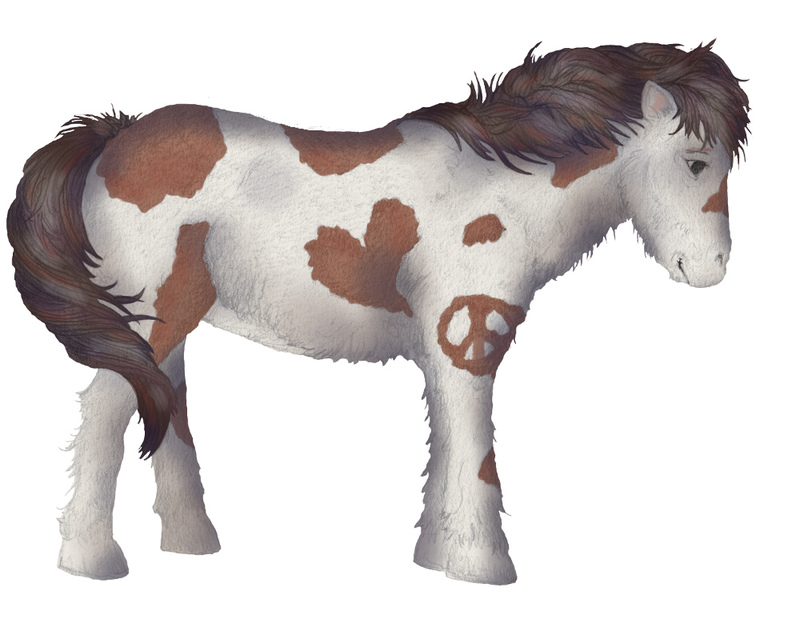 I then painted in colors, using varying opacities and brushes. I brought the colored drawings back into the original composition. I adjusted scale and brightness. I then layer in shadows. 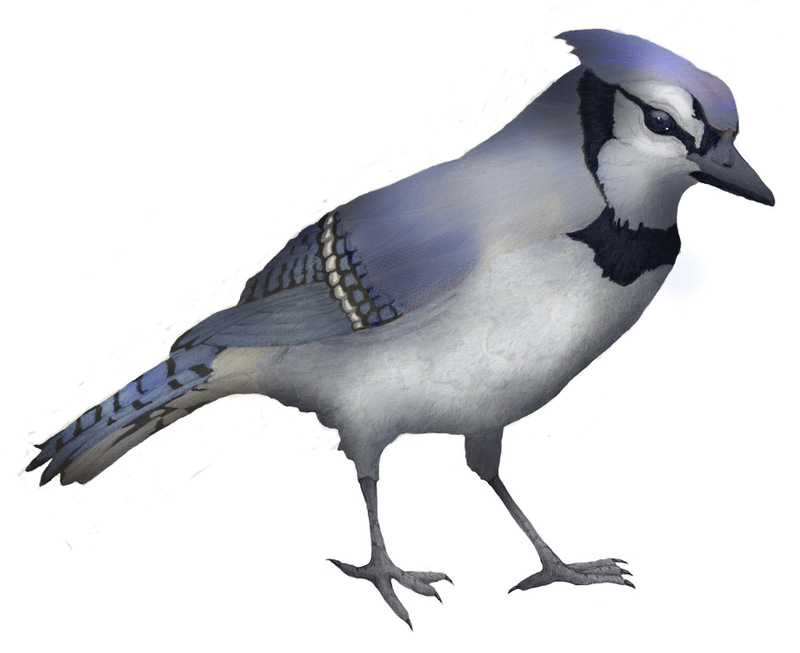 Finally, when the painting looks finished to me, I put a bump map of a watercolor texture over the entire painting. This makes the work look less “computer-like”. My next step will be to print postcards and send them to my friends!